Application procedure: Admission exam, learning material will be provided. Our admission rate: Almost 100% over the last 3 years. Medicine: The medical studies at the Lithuanian University of Health Sciences are based on the principles of “Problem-based Learning”, which presents realistic situations to the students – not only the theoretical concepts. Courses are taught in intensive blocks. With this method, the university aims at reaching a higher success rate than other universities, which have not established this concept yet. This means that the tests do not all take place at the same time, but are distributed throughout the year – directly after finishing each block of classes. The duration of the studies is 6 years. Each year, the academic year begins at the beginning of September. The city of Kaunas is the second biggest city in Lithuania, but the most important. It counts 400,000 inhabitants. There is a big international airport with several routes to many different countries. The road “Via Baltica” (E-68), which connects Warsaw – Riga – Helsinki, goes through the city. Kaunas is a trade, industry, and service center. 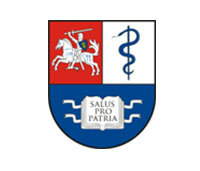 The admission at the Lithuanian University of Health Sciences takes place by means of an admission exam and a subsequent interview. But do not be afraid: We have a really high admission rate, so chances are the best, that you will get a university place at the LUHS. All the necessary learning material will be provided by us. With a little preparation, this obstacle can easily be overcome. The written admission exam comprises 30 multiple-choice questions from the subjects biology and chemistry. An interview , which is usually kept very general, will follow. During this conversation, the candidates will be told the results of their written exam. The degree is recognised in the USA, throughout Europe, USA and other countries.